Bullet Journal Grid Printables - 10 Designs Included-Plus FREE Journal Sticker Printable set! This grid / graph paper set is perfect to design your own layouts easily. Just connect the dots or trace the lines to create your own journaling fields in no time! Use them to keep your life artful as well as organized! Perfect for creating your to-do lists, keeping track of your daily (and weekly and monthly) schedules, healthy habits, journaling, drawing and more! This one page layout can be printed as many times as you like, so there is no limit to the amount of designs you can create! This file resizes well and can be printed on almost any size paper, so if you want to create a smaller book, or would rather print it on regular printer paper, that's just fine! You can find tips for binding your printed book on our website. We do not offer refunds on our digital downloads. Purchased designs can be printed unlimited times (for yourself). All of our digital downloads are for personal use only, and digital files may not be shared with anyone. Microsoft Word is NOT capable of working with layered graphics, therefore you cannot use it to create digital art with the templates that we sell. If you're not sure how to use PDF files, please refer to the tutorials on our website before purchasing this item. Visit www.The-Scrap-Room.com, and click on the digital tab for step by step instructions on working with digital files. 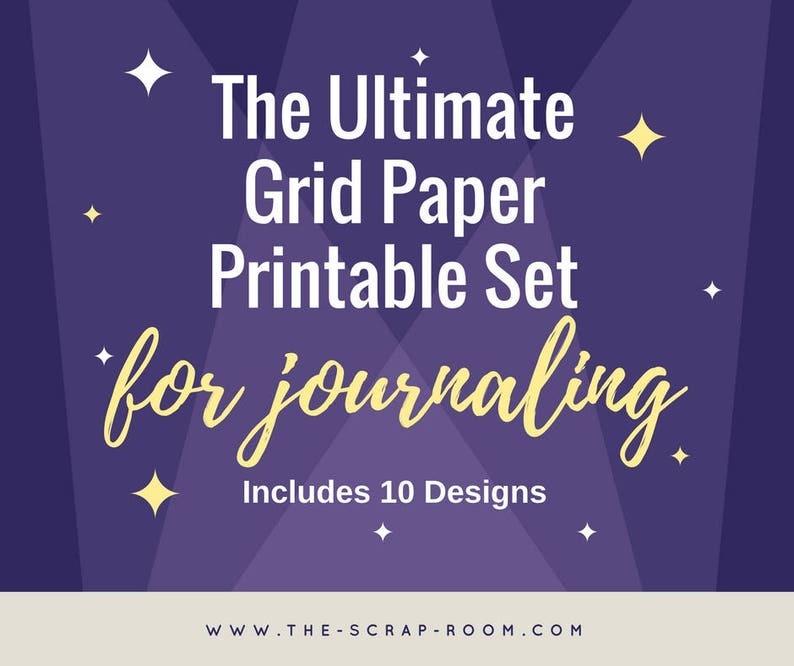 This order includes: 10 different grid/graph paper printable designs. These printables are perfect for bullet journaling and you can print them out over and over! Color: grey and white -- You add the color! Quantity: Use or print as many times as you want after purchase of template! I recommend printing on "Best" or "High" quality settings. After you complete your purchase, you will receive email notification that your digital download is available. Follow the steps in the email or log in to Etsy directly and view your order to download your new file. Edit in most any editing programs and print! Find tutorials for working with digital files on on our website. Beginner's Bullet Journal Printables (bujo) VOLUME 5! - Printable Planner Inserts ready to fill in and COLOR IN! ready to go pdf! 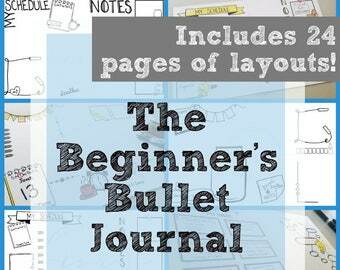 Beginner's Bullet Journal Printables (bujo) Volume 5 and 6 BUNDLE set! - Printable Planner Inserts ready to fill in and COLOR IN! 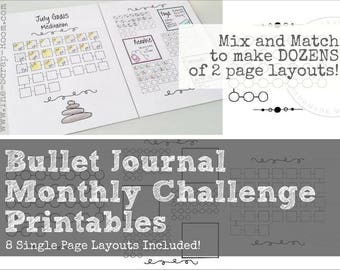 Beginner's Bullet Journal Printables (bujo) Volume 3 and 4 BUNDLE set! - Printable Planner Inserts ready to fill in and COLOR IN! Bullet Journal 31 Day Tracker / Challenge Set - Includes 8 (EIGHT!) single page Printable / Instant Download layouts! Doodle Bullet Journal Printables (bujo) VOLUME 3! - Printable Planner Inserts ready to fill in and COLOR IN! ready to go pdf! Bullet Journal Printables (bujo) FEBRUARY-Valentine Printable Planner Inserts-ready to print, fill in & COLOR IN + printable bujo stickers! Bullet Journal Printables (bujo) MARCH Planner Inserts - St Patrick's Day themed-ready to print, fill in & color + printable bujo stickers! Beginner's Bullet Journal Printables (bujo) CHRISTMAS EDITION! - Printable Planner Inserts ready to fill in and Color In! ready to go pdf! Beginner's Bullet Journal Printables (bujo) VOLUME 6! - Printable Planner Inserts ready to fill in and COLOR IN! ready to go pdf!